Strawberry season is finally here in Connecticut. These sweet gems deserve to be enjoyed beyond breakfast or dessert. 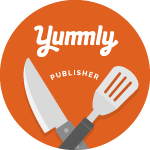 They provide a wonderful natural sweetness to savory dishes too. This salsa fits into any meal of the day. When selecting strawberries don’t worry about shape or size, focus on color. Look for bright red. If there’s white around the stem or in the center of the berry, that means it wasn’t picked at peak ripeness. When you get the berries home, sort them, but don’t clean them until just before you are ready to use them. Store the berries uncovered in the refrigerator in a shallow container. When you’re ready to use the berries, wash them quickly in cold water and drain them well before you remove the green leafy top and start chopping. 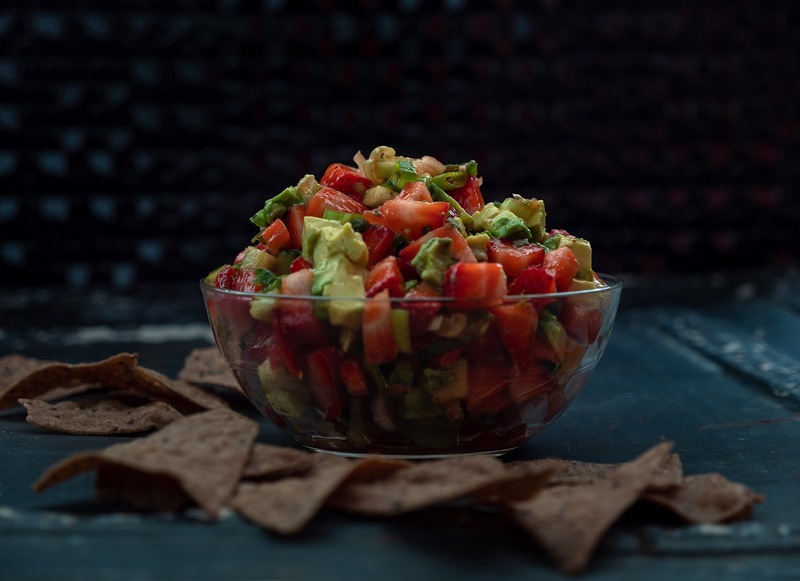 Crunchy, creamy, sweet, and a little bit spicy, this salsa offers a delicious twist on your usual chip and dip combinations. It works well with fun-flavored tortilla chips like these organic cinnamon and sugar chips by Lundberg Family Farms made from red rice and quinoa. (These chips were a super fun "new-to-me" item in this month's Degustabox.) However, this salsa also makes a perfect topping for grilled chicken or fish. 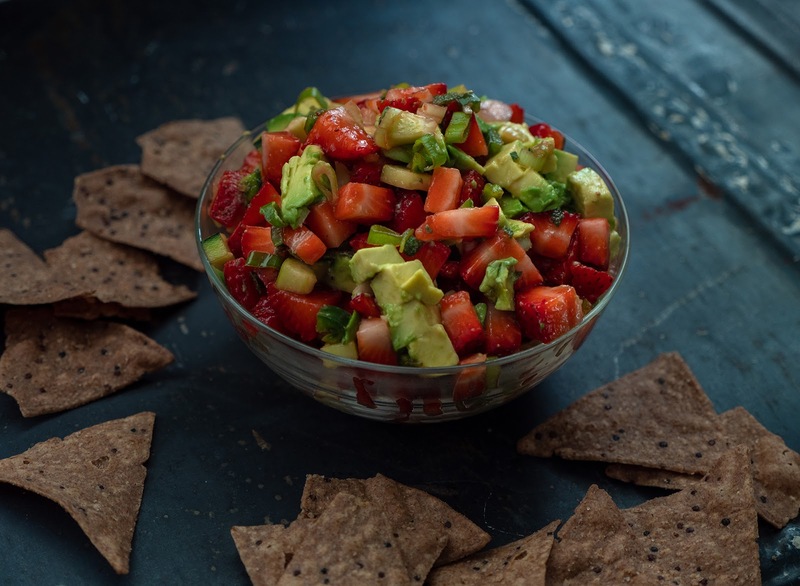 In a medium-sized bowl add the chopped strawberries, cucumber, scallion, jalapeno, avocado, and mint. Pour on the juice of half a lime. Season with salt to taste. Gently stir to combine. Serve immediately or tightly cover and refrigerate for up to two days. Far more appealing than any other salsa!! Organic, of course!!! !